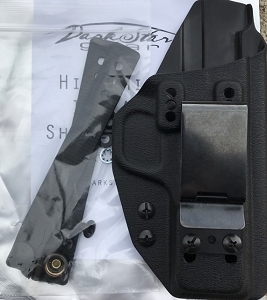 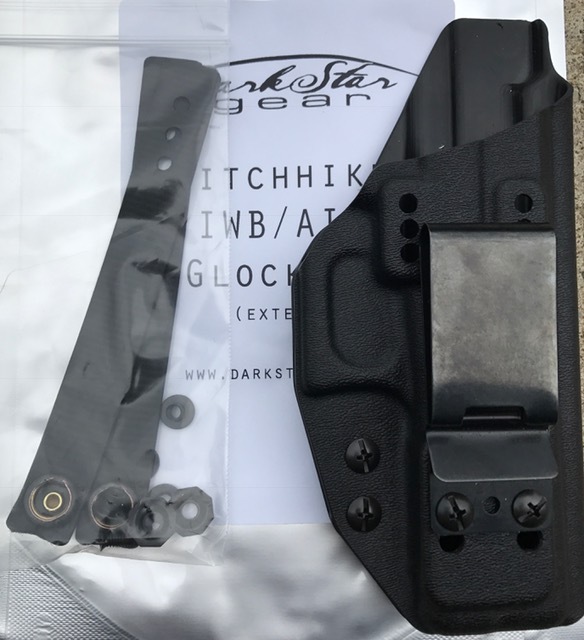 Dark Star Gear Glock 43 Black RH AIWB/IWB. 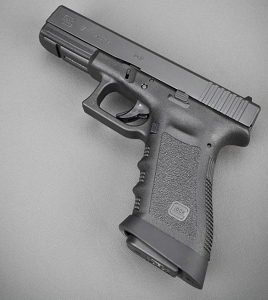 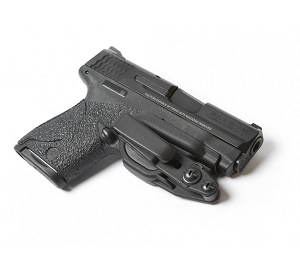 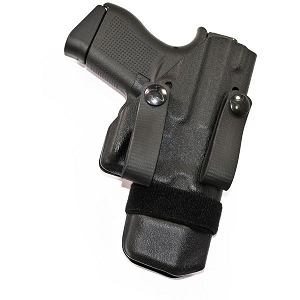 The slim G43 holster has adjustable height, tension, and can be canted with the clip mounting holes. 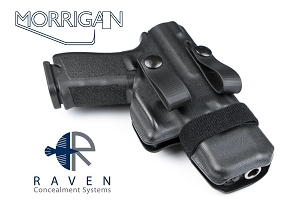 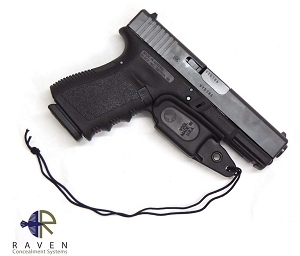 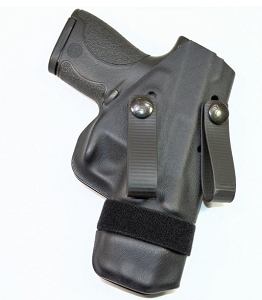 This holster is longer than the gun, roughly G19 length, to aid in concealment and comfort. 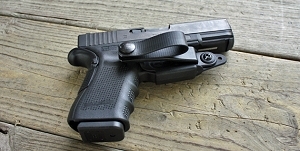 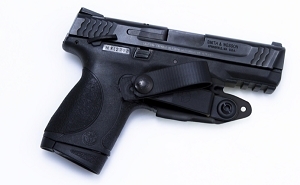 Adding length allows the holster to ride high enough to obtain a full firing grip without rolling out of the waistband or placing the muzzle corner on the pelvis. 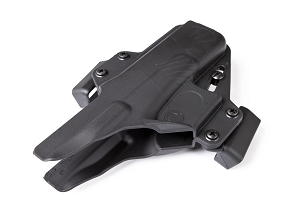 Metal clip works well over and under the belt and many customers have had great success with board shorts, some gym shorts, gi pants, and fight shorts. 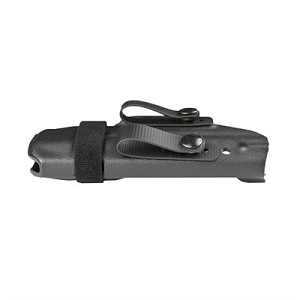 Also included, rubber belt loops.